Don't slip on bathroom floor! Dorm Co. Tip: Keep your bathroom floor covered and add to your bathroom dorm room decor! The worst start to your morning isn't your dorm alarm clock. If you have a suite style dorm room with a private dorm bathroom, the worst start to your morning is slipping on the tiled floor. When you're coming out of the dorm shower, wet feet plus the tiled surface can equal you slipping and falling. You obviously don't want to start out your morning in this way, even though it sure will wake you up. 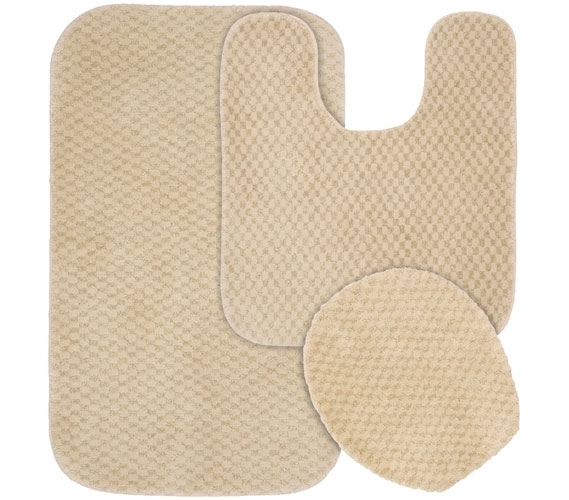 To properly start your morning, ensure you have our Pin Dot Bath Mat Set in Beige outside of your dorm shower. 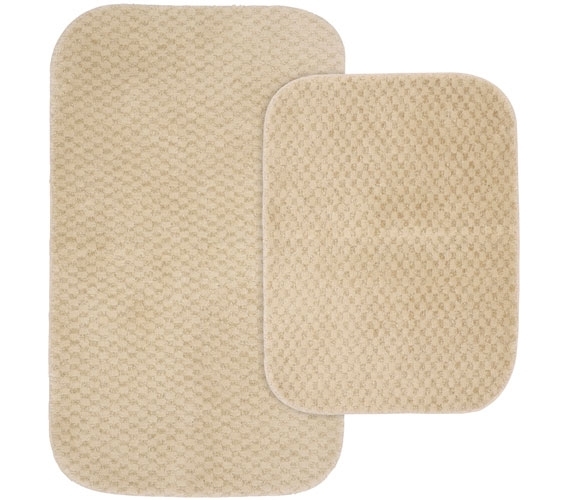 Our Pin Dot Bath Mat Set in Beige has a soft, neutral color to start out your dorm room decor in your suite style dorm bathroom. After all, you want your dorm bathroom to look as great as the rest of your college dorm room. However, what is most important about this dorm necessities set is that you can step out of the shower without the thrill of nearly falling. This dorm supplies set will provide you with a soft, cushioned surface to step onto, and while you prevent slipping and falling, you also get some help in drying those wet feet.